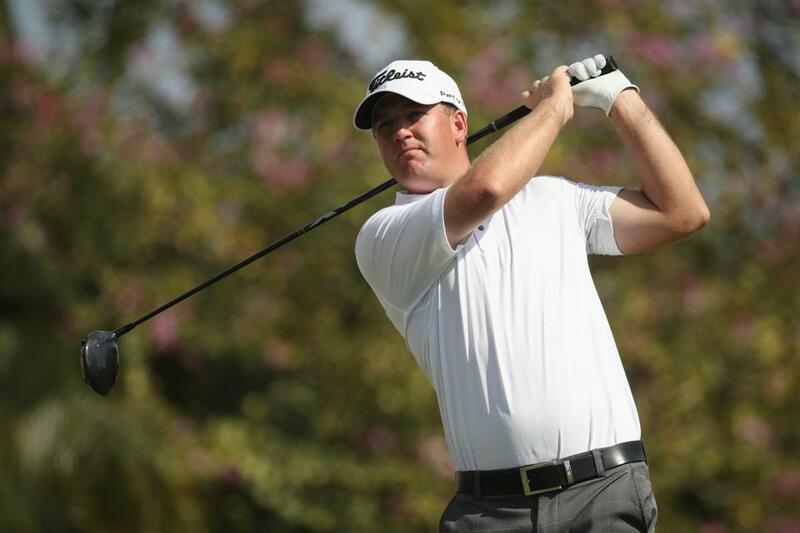 Tom Hoge, 28, of North Dakota will take a one-shot lead into the final round of the Sony Open in Honolulu. HONOLULU — A false missile alert didn’t bother Tom Hoge, and he was just as steady on the golf course with two late birdies Saturday for a 6-under 64 and a one-shot lead in the Sony Open as he goes for his first PGA Tour victory. Hoge holed a 40-foot birdie putt on the par-3 17th to tie for the lead, and then got up-and-down from 40 yards away in a bunker on the par-5 18th. He once shared the 36-hole lead with Tiger Woods at the Wyndham Championship, the last tournament Woods played before two back surgeries in the fall of 2015. This will be the first 54-hole lead for Hoge, a 28-year-old from North Dakota. But it there was uncertainty about the accidental push alert about an incoming ballistic missile that unsettled the islands, a different variety awaits at Waialae Country Club. No one can be sure what to expect in a final round with so many players right in the mix. Thomas had a wild start — bogey on No. 1, holing out from 175 yards for eagle on No. 2, another bogey on No. 3. He settled down for a 66 and was six shots back, with other eight players ahead of him. The late starting time Saturday meant hardly anyone was at Waialae when the push alert warned of an incoming missile with orders to seek shelter. There was panic across the island. J.J. Spaun tweeted that he was in the basement of his hotel. John Peterson tweeted that he was in a bathtub with his family covered by mattresses. He was more upset watching his alma mater, TCU, losing a basketball game to Oklahoma. ‘‘I don’t know what you do for a missile,’’ he said. He figured out how to handle Waialae on another warm, sunny and missile-free day. Hoge was bogey-free, picking up birdies with good tee shots on some of the shorter holes, knocking in the long putt on the 17th and finishing with a birdie. Even so, he’ll be in the last group in Hawaii for the second straight week, and Kapalua winner Dustin Johnson already is on his way to Abu Dhabi. ‘‘It was pretty scary at the hotel when they came over the loud speaker and said, ‘Everyone take shelter, this isn’t a drill,’’’ Spieth said.